Automakers will usually try to impress you with super-fast zero-to-60 times. 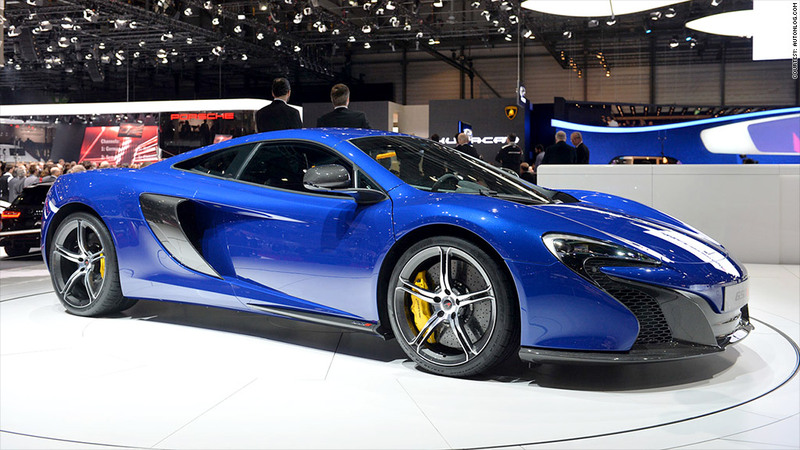 McLaren, on the other hand, boasts of the 650S's ability to go from zero to 124 miles per hour in 8.4 seconds. It can get to 60 miles per hour in under 3 seconds, in case you were wondering. Top speed is 207 miles per hour. Pricing for the 650S has not been announced yet. But the car is meant to provide customers with a middle ground between the relatively accessible (for the rich) 12C, which starts at about $240,000, and the really expensive P1, which starts at over a million dollars. It gets 641 horsepower from a small 3.8 liter V8. As in McLaren's other cars, the body is made from carbon fiber with aluminum frames. It's estimated to get just over 24 miles per gallon in European fuel economy tests.